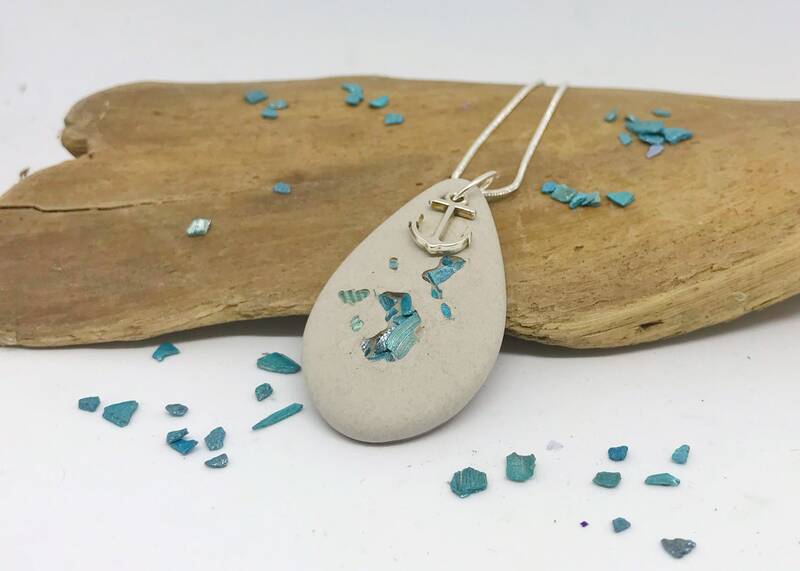 Beautiful concrete necklace, decorated with blue Flakes and an Anchor. A real Eye-catcher. The Chain is pleasantly light. Glass jewelry set "Anchor grey"
Glass Earrings "anchor strips 1"